I would really like to go on holiday. Right now, the sun is shining warmly across Wellington City, and I am stuck in my office. I would much rather be pottering about outside. This brings me to the ‘holiday’ part of my comment. If I was on holiday in Bora Bora for example – I would probably be outside, enjoying the sunshine, and getting plenty of vitamin D.
Unfortunately that dream is just not going to happen right now. Nope. My dreams are smashed to bits as I breathe the nasty air conditioning, listen to colleagues yapping away loudly on the phone, tapping fingers busily typing away on their keyboards, and just general office banter. Seriously. 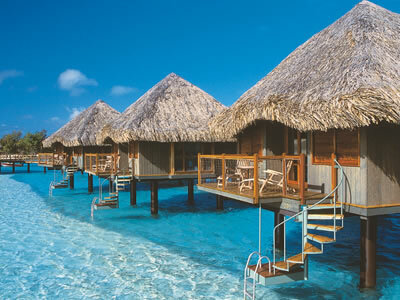 The Bora Bora dream is good. So – what’s on my mind at the moment? I have been spending an unusual amount of time thinking about lost civilisations. One day, I might even reveal why. I have been tossing up a few ideas for new books… There is a dystopian novel idea, that I have been pondering for a couple of months or so, but I keep hesitating on the actual planning of it, because dystopian novels are starting to become really overdone in the YA market. (Not that this one would be aimed at the YA market.) I have had another urban fantasy idea – this one for adults, or new adults, but I can’t decide which though. Also, a stream of thrillers are just sitting there already planned out, that I could pick up at any time to write. Alas, I will not be writing anything new until I finish editing this current book and get it out the door. Even though there is plenty of other ideas floating about. I am adamant that this needs to be completed. I even have one of my critique partners cheerleading for me at the moment with this one… so I just need to get it finished. Then it’s over. Finito! I’m really happy with the progress I have made so far on editing and revising though. There has been a lot of chopping, changing, and re-writing/revising of this manuscript, that was relatively clean and almost there as it was. It just needed a bit more. And that’s a good thing. I know that I am only making this book better and I am strengthening it for the readers. It’s times like these that I wish I had listened to my gut instincts when I was writing it originally. Instead, I listened to my Alpha readers, who begged me to let a certain character live. When my critique partner read it, she was wondering why on earth I had! Believe me, I have been wondering that exact thing since I wrote the book years ago. Oh well. Time to rectify that issue! Came across an awesome post on a friends blog the other day, and thought that I would share with all of you: Simple Things I Wish I’d Known About Writing, written by Christauna Asay. I definitely think that every writer, published or unpublished, should read this post. Even in the editing of your own work, if you follow these really simple rules, it will tighten and improve your manuscript beyond belief. Something to always keep in mind. I think that’s all from me this week. Again, I will continue to dream of Bora Bora. Perhaps one day soon, when I receive that six figure advance, I’ll get there. Pfft. *Snorts with laughter* Dreamer. Dreams are free. That’s the main thing.